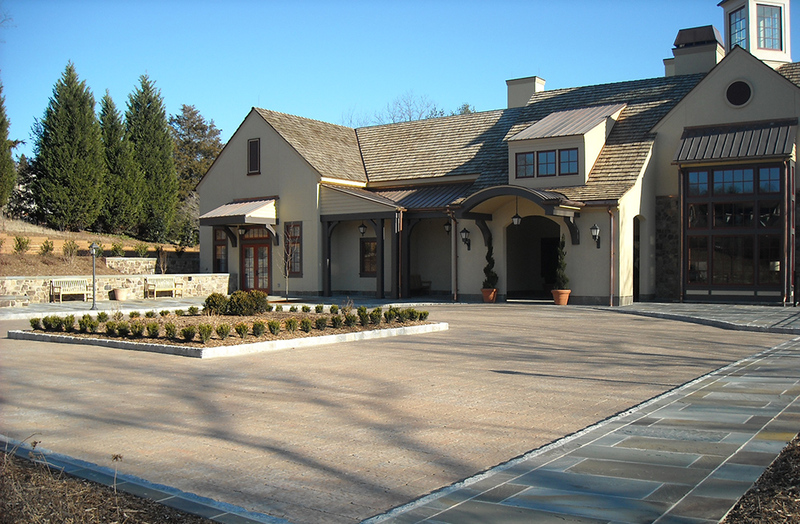 This commercial pavilion required a concrete paver entrance( driveway, walks) suitable for heavy vehicular traffic. Pavers where set on a gravel base 12 inches deep and locked with polymeric sand. Jumbo indian cobble bordered the edge with wet set bluestone walkways.